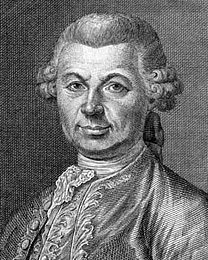 Count Carlo Gozzi, the poet and playwright, was born on this day in 1720 in Venice. He was a staunch defender of the traditional Italian commedia dell’arte form of drama and his plays were admired throughout Europe. Commedia dell’arte was a theatrical form that used improvised dialogue and a cast of masked, colourful stock characters such as Arlecchino, Colombina and Pulcinella. Gozzi was against the dramatic innovations made by writers such as Pietro Chiari and Carlo Goldoni. He attacked Goldoni in a satirical poem and then wrote a play, L’amore delle tre melarance - The Love of the Three Oranges - in which he portrayed Goldoni as a magician and Chiari as a wicked fairy. The play was first performed by commedia dell’arte actors, who had been out of work due to the dwindling interest in the genre following the innovations of Goldoni and Chiari. It was a great success and revived the fortunes of the company of actors. Having been born into a noble but poor family, Gozzi initially had to go into the army to make a living because his parents could not support him. When he returned to Venice, he joined the Accademia dei Granelleschi, a group determined to preserve Italian literature from being corrupted by foreign influences. His personal crusade was to revive traditional commedia dell’arte and after the success of The Love of the Three Oranges, Gozzi wrote nine fiabe, literally fairy tales. Considered outstanding were Il re cervo - the King Stag - Turandot, and La donna serpente - the Snake Woman - which were all performed in 1762, and L’augellin belvedere - the Pretty Little Green Bird - performed in 1765. Gozzi’s fiabe were popular, both in Italy and other countries in Europe, and drew influences from commedia dell’arte, which led to a revival of interest in the genre and earned him the title of ‘the saviour of commedia dell arte’. Gozzi’s Turandot was first performed at the Teatro San Samuele in Venice in January 1762. Later, in Germany, the playwright Schiller turned Turandot into a serious play and it was used later as the basis for operas by Ferruccio Busoni and Giacomo Puccini. The Love of the Three Oranges also provided the basis for an opera by Sergey Prokofiev. Gozzi wrote his authobiography, Memorie inutile - Useless Memories - in 1797. He died in Venice in 1806 at the age of 85 and was buried in the Church of San Cassiano in the San Polo district of the city. Teatro San Samuele, where Gozzi’s Turandot was first performed, was an opera house and theatre at the Rio del Duca, between San Samuele and Campo Santo Stefano. It was first opened in 1656 in Venice and the playwright Carlo Goldoni was the theatre’s director between 1737 and 1741. 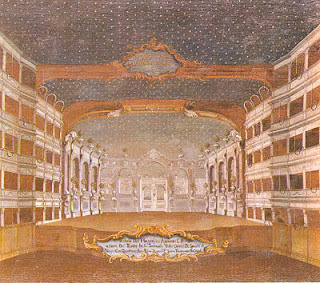 The theatre was destroyed by fire in 1747 but then rebuilt and Gozzi’s play, Turandot, was performed in the new structure in 1762. It remained a theatre until the building was demolished in 1894. San Samuele is in the San Marco sestiere and is a waterbus stop on the right bank of Canal Grande, travelling from San Marco towards the railway station, before you reach the Rialto. 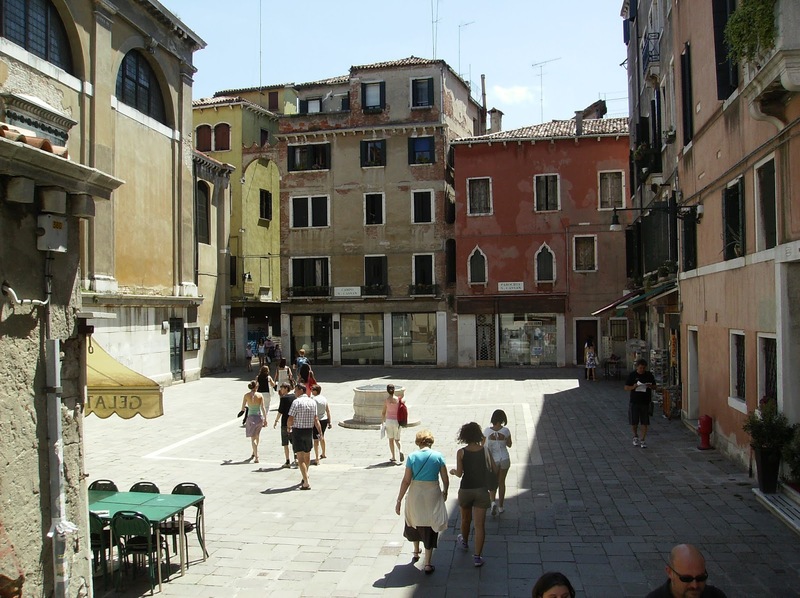 The Church of San Cassiano in Venice, where Carlo Gozzi was buried, is in the San Polo sestiere and can be reached by getting off the waterbus at the San Stae stop on Canal Grande. 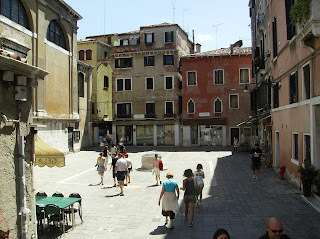 The 14th century church, which is dedicated to San Cassian of Imola, is in Campo San Cassiano. Its highlight is the painting of The Crucifixion of Christ by Tintoretto, which the art critic John Ruskin described as ‘the finest example of a Crucifixion painting in Europe’. Campo San Cassiano is also where the world’s first public opera house, Teatro San Cassiano, was located until it had to be demolished in 1812 after several fires.